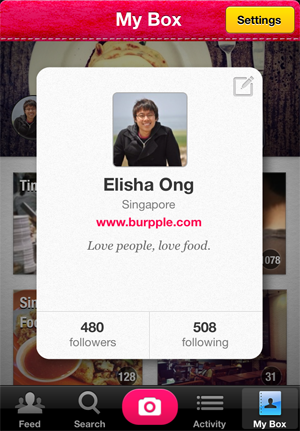 Singapore-based food journal Burpple has announced a series of changes to its iPhone app which sees it add integration with Instagram, introduce a Japanese-language version and make a series of improvements to the user experience and social layer. The link-up with Instagram allows Burpple users to cross-publish photos from the now Facebook-owned service simply by linking their account and including the #burpple hashtag when they post. 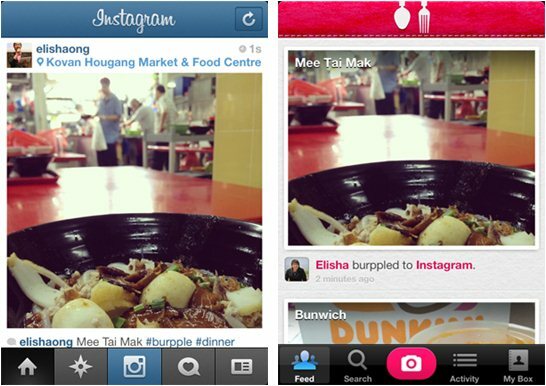 Interestingly, the team says that other “food-related” hashtags will also pull photos into the app. Said-other hashtags are retroactive which means that, if you’re someone who takes a lot of photos of food and tags them with hashtags, you’ll find that your older photos will also make the jump into the Instagram photo box within your Burpple profile. We’ve seen other apps introduce similar link-ups to Instagram — such as kids journal Tinybeans — and it’s rather fitting given that Burpple is seen by many as an ‘Instagram for food’ service. The Burpple team launched a Chinese version of the app in June and they are now targeting Japan’s buoyant mobile apps market with a Japanese-language version. Japanese has always been known to journal their life (ie. 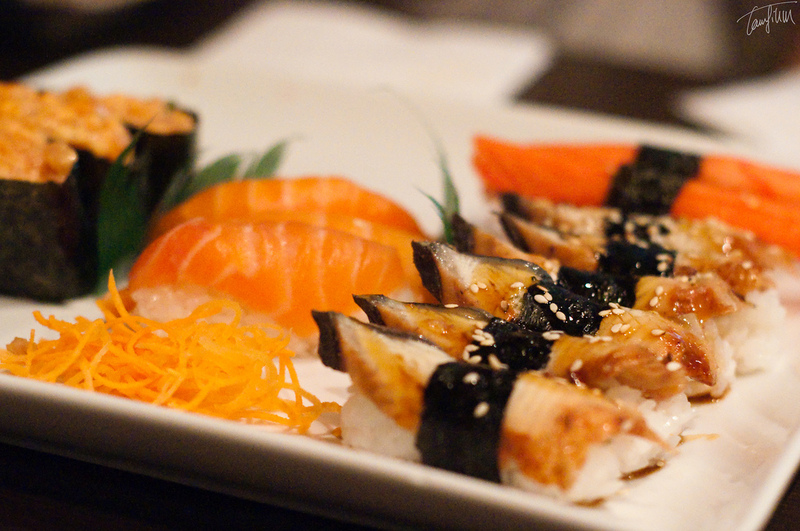 Evernote) – and Japanese food has huge variety, with people loving to take photos and remember their food memories. 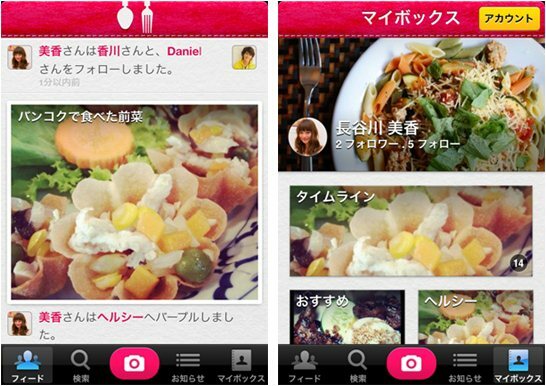 Burpple has also seen a growing community of users coming from Japan – recently a group of housewives have been using Burpple to share their home-cooked creations and conversing in Japanese! The Burpple team also recently added a key Japanese team member and we look forward to understanding our Japanese users and market better. Elsewhere, the company has neatened up profiles by adding ‘flash cards’ which help highlight users, their tastes, popularity on the site, etc. Burpple’s social layer got a boost when the company added the ability to ‘like’ photos in June, and that feature just got upgraded too. Now each the name of each person that likes an image is shown below it, allowing greater interaction between food lovers using the app. Finally, Burpple has upgraded its location features. Photos can be placed on a map to help provide more details and encourage fellow Burpplers find and new discover new places to eat and drink. Now users can search, find and get directions any place listed on the service, any where in the world. Burpple is still only available for iOS but Chan tells us that a much requested Android version is “in the works”.